Jack Timby on his way to scoring 124. Jack Timby and Dan Freeman both struck centuries as Lincolnshire CCC moved to the top of the Unicorns Eastern Division. Victory over Northumberland CCC at Grantham in their fourth match of the season saw the hosts push out in front. Dan Freeman being applauded by Northumberland's Phil Mustard on reaching his century. Timby returned to the side as a late replacement for Chris Jones. Lincolnshire won the toss and elected to bat in hot and sunny conditions. Timby and Joe Kendall gave them a sound start before Kendall was lbw for 41 in an opening stand of 80. Louis Kimber, Bilal Shafayat and Conrad Louth were then dismissed for low scores as the innings subsided to 128-4 in the 40 over. Dan Freeman then joined Timby in a stand of 114 before Timby fell for a fine and solid 124, his maiden Lincolnshire century. Lincolnshire captain Carl Wilson joined Freeman and they quickly upped the scoring rate, adding 128 in the final 23 overs of the innings, Freeman making 110 not out and Wilson 59 not out. Lincolnshire’s total after their allotted 90 overs was 370-5. Northumberland lost two early wickets in reply before Marcus Brown and Phil Mustard added 107 for the third wicket. Mustard was next to go for 72, caught Freeman bowled Nick Keast. Two further wickets fell as the visitors were reduced to 141-6 in the 49th over. Thomas Cant and Callan McCabe then added a valuable 99 for the seventh wicket. Lincolnshire’s lead looked likely to be around 100, but Cant’s 58 andMcCabe’s 66 helped to see them reach 291 for 9 at the end of their allotted 90 overs. Lincolnshire had a first innings lead of 79 but crucially had claimed all batting and bowing bonus points. Lincolnshire’s object in their second innings was to set a target for their opponents and at the same time leave adequate time to dismiss the opposition. At 112-6 they were only 191 ahead with only Louis Kimber with 38 making any score of substance. Freeman and Keast saw out day two without any further mishap. Keast was dismissed early on day three for 28. There then followed a crucial unbroken stand of 87 between Dan Freeman (63 not out) and James Kimber (33 not out) which led to Lincolnshire declaring on 237-7, setting Northumberland 317 to win in a minimum of 72 overs. Northumberland were left with around 35 minutes batting before lunch on day three and this session swung the match firmly Lincolnshire’s way. The visitors were reduced to 25-4 with Alex Willerton taking three of these wickets and Freeman the vital one of Phil Mustard. After lunch Lincolnshire again struck quickly as Northumberland were reduced to 67 for 8. Oliver McGee (27) and Ben Quirk (33) added 60 for the ninth wicket and the innings folded at 131 all out shortly before 4.30pm, leaving Lincolnshire winners by 185 runs. Willerton with 5-42 was Lincolnshire’s most successful bowler well supported by Keast with 3-41. The maximum 24 points gained in this match and results elsewhere saw Lincolnshire at the top of the Eastern Division table, one point ahead of both Suffolk and Staffordshire. 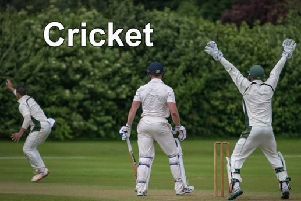 Lincolnshire’s next fixture is against Suffolk at Ipswich School commencing on Sunday, August 19.